9.3 oz 50% cotton, 50% polyester. Double-needle stitching throughout. Set-in sleeves. 1x1 ribbed collar, cuffs and waistband with spandex. Quarter-turned to eliminate center crease. Full European cut for casual comfortable fit. Generous fit. Heavier than the regular Gildan Crewneck Sweatshirt to keep you warmer on those cold days. "Everyone loves the quality of the sweatshirt. Solid and comfortable. Only complaint was the request for larger sizes (4X & 5X.)" 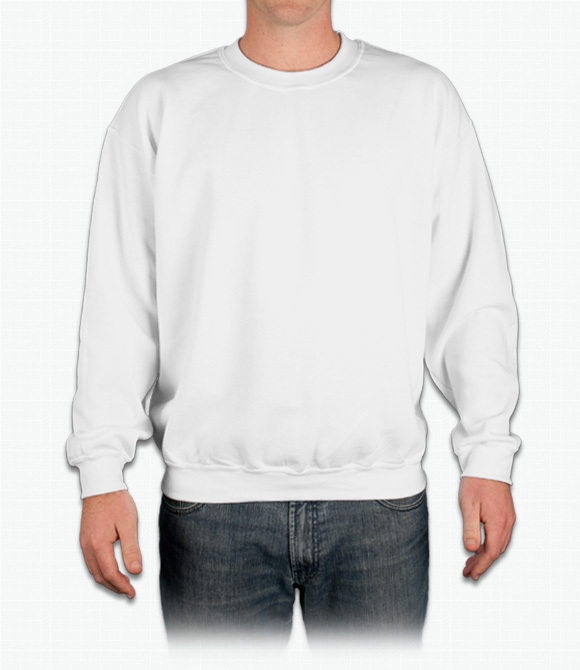 "Heavier cotton sweatshirt, fits in line with standard sizes. I have not washed them yet." "The Sweatshirt itself was really well designed i like the outer mixture of light and dark grey. In addition the cotton inside was insanely soft. With a decent price the Gildan Heavy Crewneck Sweatshirt was a really great choice."